After genetic experiments failed miserably, The Bureau of Genetic Welfare has created several isolated cities where genetically crafted societies are created, with the hope that eventually these societies will produce genetically pure people. Tris and her companions have escaped from the city of Chicago, and have now discovered the Bureau. Tris speaks with David; she initially believes that he intends to bring peace to Chicago, but learns that he has known of all the terrible events that they have experienced, and did nothing to stop them. Wars are breaking out in Chicago, but Tris and her friends decide to go to Chicago to tell the citizens about The Bureau, who she believes is their common enemy. Although she shows it in misguided ways, Four’s mother demonstrates her love for him, and shows how important their relationship is, at great cost to herself. Tris and her friends initially thought they were safe when they got to the Bureau, but instead they found yet another set of untrustworthy adults. 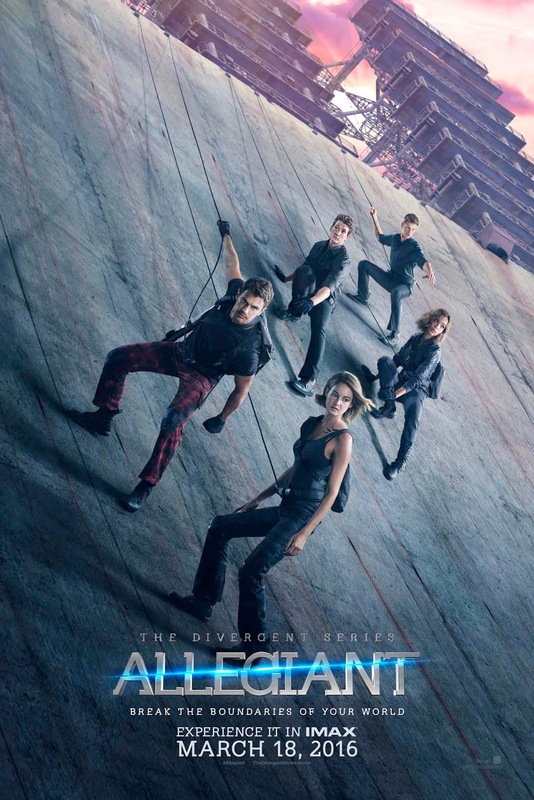 Divergent: Allegiant seems most likely to appeal to teenagers; it is probably too violent for many younger viewers. Critics have panned it widely, and some adults might find it less entertaining than they’d like. This one is probably OK for teens 15 and up. The film does not mention adoption, and many viewers will not see a connection between adoption and the Bureau’s gathering of children. For those teens who do see a connection, parents will want to be prepared to talk about it after the movie. The Bureau was imposing their help on people who did not have the option to refuse. How do you feel about that? How can you know when you are with a safe adult? How much of your self-identity is informed by what you know about your past, and about your family’s past?